‘The Secret Island’ is a real first for Tiree. In a book containing 20 chapters launched last week, in which 18 authors discuss different aspects of the history of the island since 1745 a fascinating story of the past unfolds. 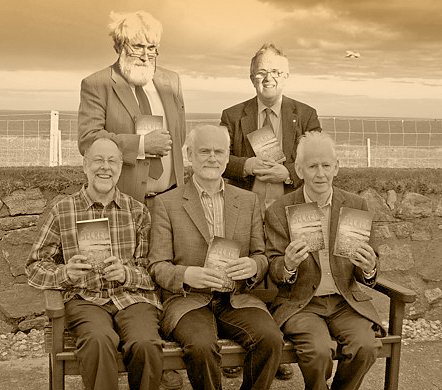 Our very own Gordon Scott, Iain Smith, Iona Brown and John Bowler contribute chapters on the church, the Balephuil fishing disaster, Tiree gaelic and history of birds and their habitats. Professor Donald Meek has written four chapters, on the land struggle, transport, Non -Conformist churches and the Rev John Gregorson Campbell, and Lesley Ferguson discusses the work of the archaeologist Erskine Beveridge on Coll and Tiree. The book is a real treasure house for those seeking historical knowledge of the island and varied perspectives on its past. The book was born after the huge success of the Secret Island history conference last year. Up until the publication and launch of ‘Secret Island’ last week, Tiree was one of the very few Hebridean islands without a full-length recent book which covered its remarkable history. The 425 page book is priced at £12 and is available at An Iodhlann, the Tiree Business Centre and also may be bought in all good bookshops. It makes a wonderful read ! « Two Summer weeks still available!